HULFT Transfer is the global choice for fast and secure file transfer, with inter-cloud service transfers, large data capacity, and transfer stability. In the information economy, data is your most precious commodity. That’s why businesses cannot afford to compromise on speed, security, or reliability when transferring data. 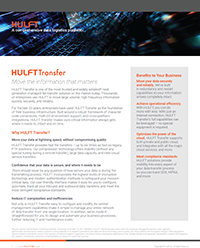 Introducing HULFT Transfer: one of the most trusted solutions for secure file transfer today. Discover why tens of thousands of customers in 43 countries choose HULFT for their data logistics. Thousands of enterprises rely on HULFT to move their data, no matter the volume or frequency. The HULFT Transfer service is known for its speed, security, and reliability. As HULFT’s UK partner, Influential Software is uniquely positioned to provide the full range of HULFT Transfer services. HULFT and Influential Software’s 25 years of experience in the sector mean your data is in expert hands. Influential Software’s HULFT team is qualified to advise your business on the best solutions – HULFT Integrate, HULFT Transfer, or HULFT Director – for your data needs. HULFT Transfer is one part of HULFT’s data logistics platform. Along with HULFT Director and HULFT Integrate, this solution allows comprehensive web-based central management. Features include system status updates, workload processing, access control, and user authentication. The system is highly flexible and intuitive, reducing the need for extra training and ensuring long-term ROI. 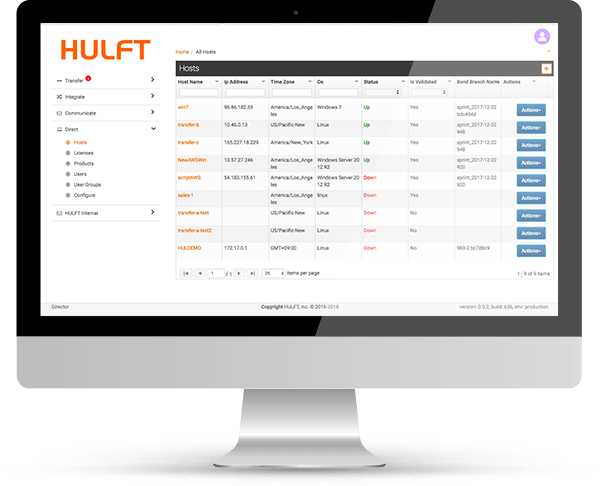 HULFT Transfer ensures speed and security with its framework of character code conversions, multi-OS environment support, and cross-platform integrations. The software’s compression technology provides for inter-cloud service transfers, large data capacity, and transfer stability. Businesses that have used HULFT for their secure file transfer needs report a host of improvements.